If you like simple, flavorful, and surprisingly low-calorie and high-protein eats, then you want to try these 10 smoked sausage recipes. 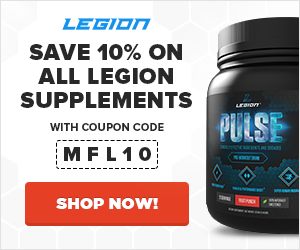 If you’re like most of us fitness folk, you eat a lot of lean protein like chicken, fish, and low-fat beef. As much as you may like sausage, it doesn’t make the cut because it’s just too high in fat. This is fine if you’re following a high-fat diet, but if you’re not, well, you’re out of luck. Or is there a way you can make it work? For example, you can include small amounts of sausage to add a lot of flavor (but not a lot of calories) to various dishes like pasta, vegetables, and other proteins. You can also choose from pork, turkey, chicken, or beef smoked sausages, depending on what you’re in the mood for. 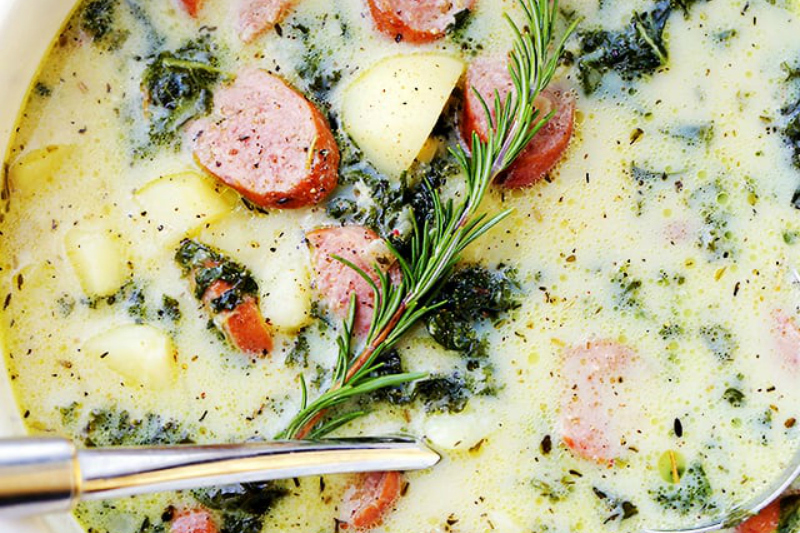 So, if you want a fast and filling “go-to” meal that you can make in batches, try the Smoked Sausage, Kale and Potato Soup. 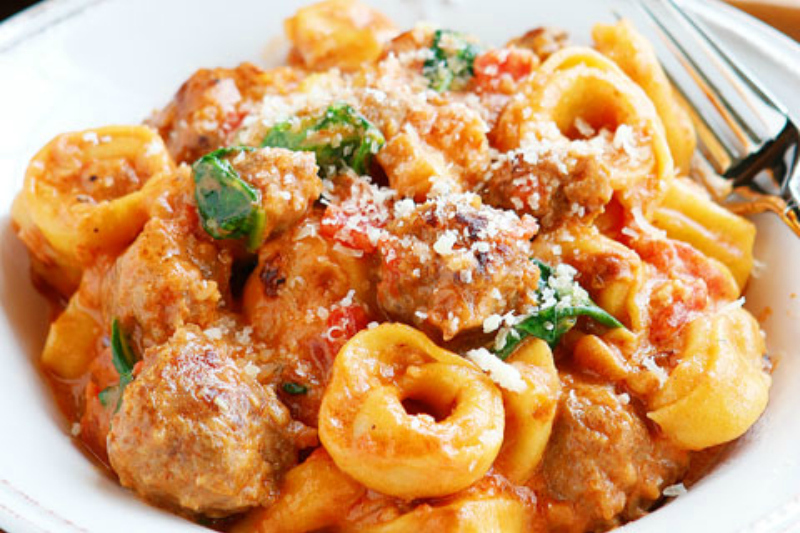 If you’re in the mood for a traditional Italian dish, the Spicy Sausage Pasta is more your thing. 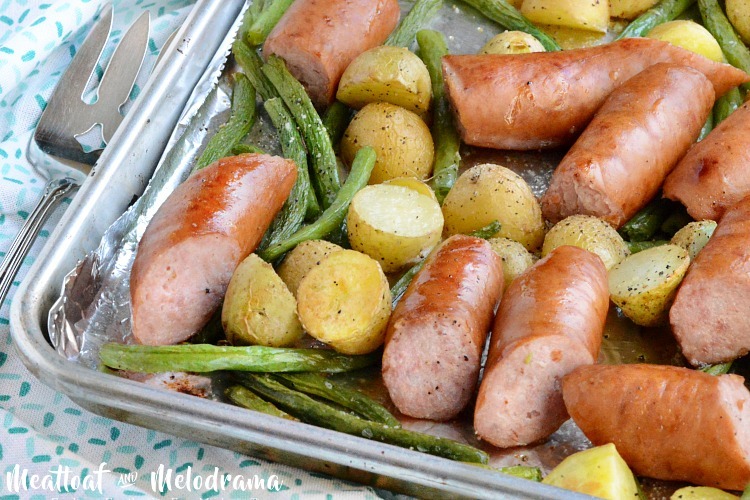 And if you want a simple one-pot dish that you can make in less than 30 minutes, you’ll like the Sheet Pan Smoked Sausage Dinner. Rich, fresh, decadent, soft, creamy, bold – that’s just a few words to describe this dish. You’ll honestly feel like you’ve ordered a restaurant meal but you’ve made it yourself at home – a great sense of satisfaction. And in one pan with little wash up – what more can one say! This recipe provides a trifecta of satisfaction – it’s easy, cheap, and incredible moreish! All you have to do is roughly chop your smoked sausage and veg, saute everything on the stove top before finishing in the oven for 15 minutes. The recipe produces generous servings and can be stored in the freezer for up to 3 months. For a comforting night-in, a tasty lunch option, or even something different for breakfast (yes, soup for breakfast is great! 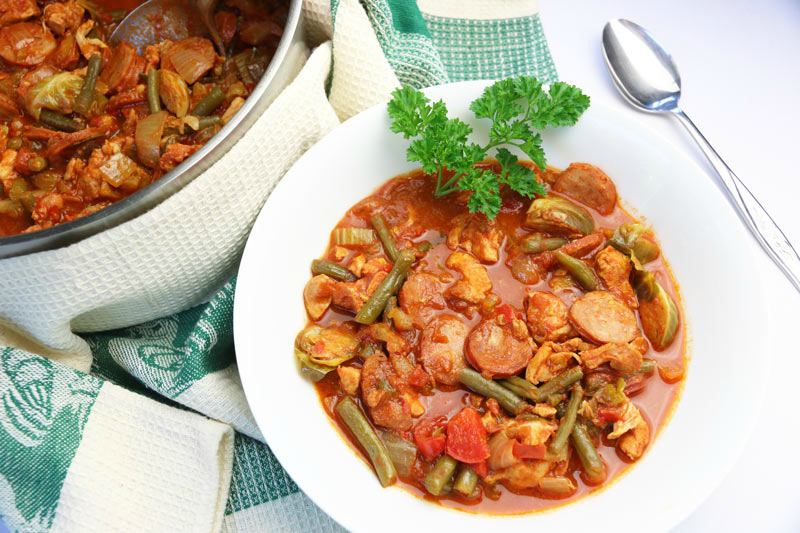 ), whip up this amazing smoked sausage soup. 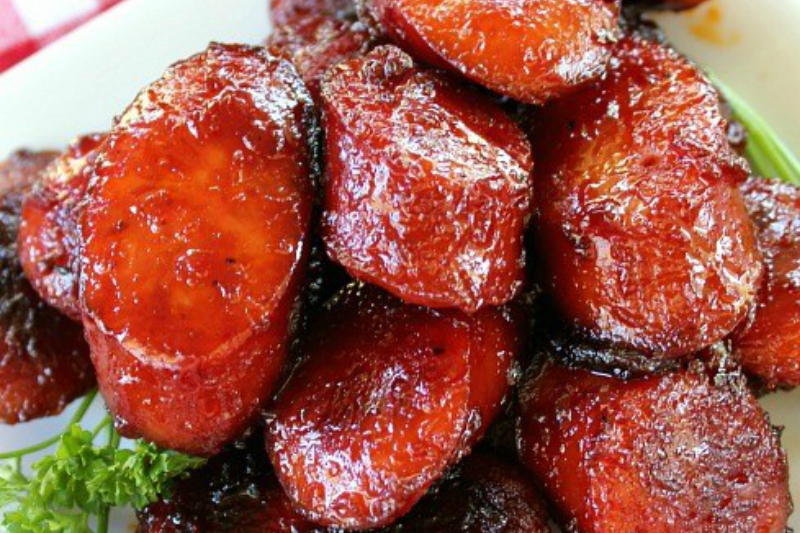 It’s beaming with flavor, can be eaten hot or cold, and can be made with any smoked sausage of your choice. Easy prep, easily customizable, use any type of smoked sausage on hand – now that’s the type of dish we all love. Cook up a batch of this on the weekend and load up your containers for lunch all week – you’ll get six servings when served on top of rice or quinoa. 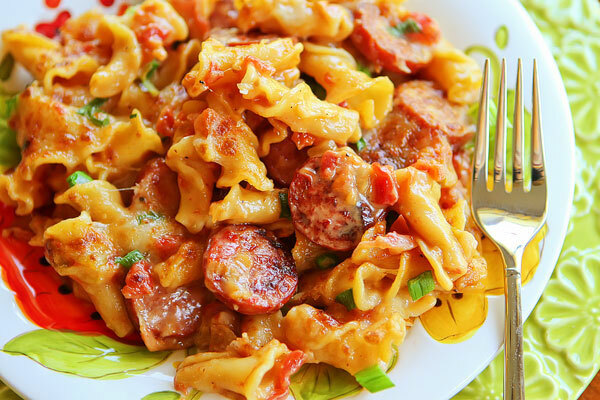 For another easy one-pan-dish that can be made in 30 minutes, including prep, this spicy sausage pasta is set to impress. 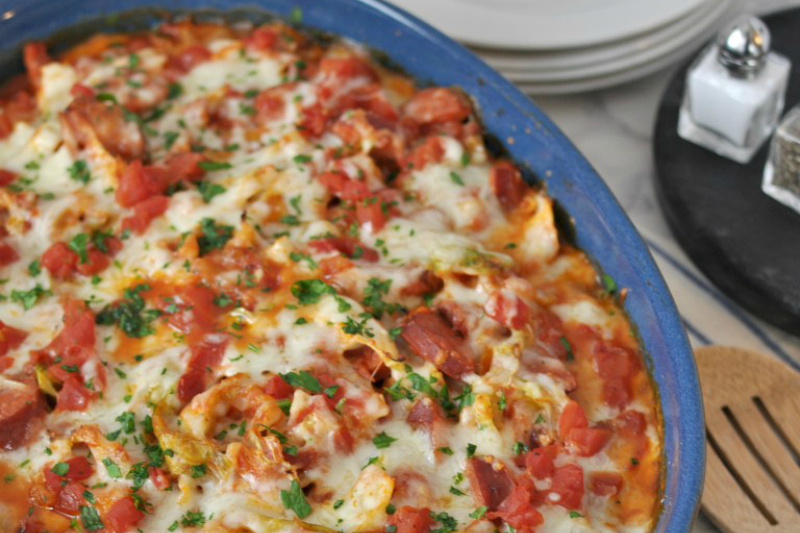 It provides knock-your-socks-off flavor that is spicy, creamy, and cheesy. And here’s a little trick if you hate chopping onions – purchase them frozen in a bag and add them to your pan while still frozen. Saves even more prep time, and your eyes at the same time! 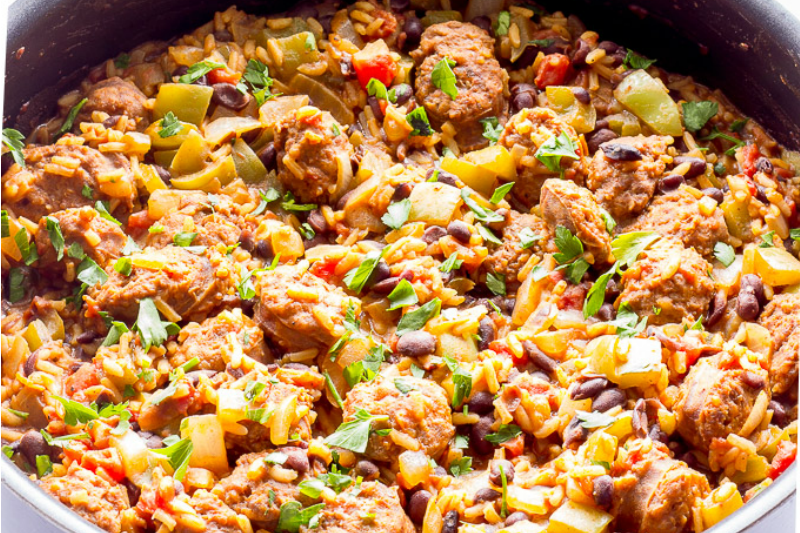 Cooked with a hot spicy smoked sausage and the undertones of sweet paprika, this slow cooked stew-like meal is a perfect any-time-of-day menu addition. Best of all it’s a prep in 5 minutes, set and forget meal. You can have dinner cooked and ready to eat as soon as you arrive home from work or the gym. For a feast of flavors and colors in less than 20 minutes, add this fajita recipe to your menu. Quickly stir fry some chopped smoked sausage with colorful bell peppers, onions and spices. Then load the mixture inside your warmed tortillas along with some fresh lettuce, salsa and guacamole, and a bit of sour cream, and you’ll be feeling pretty indulgent. Since these are served bite-sized, this recipe makes the perfect holiday appetizer or addition to a summer grill for your next get together. Or they can be kept handy in the fridge for a grabbable snack attack. With just two ingredients you can easily switch up the type of sauce you include – try ketchup, satay, buffalo or hot sauce. Coat them up and cook in the pan or grill and you’re ready to run! 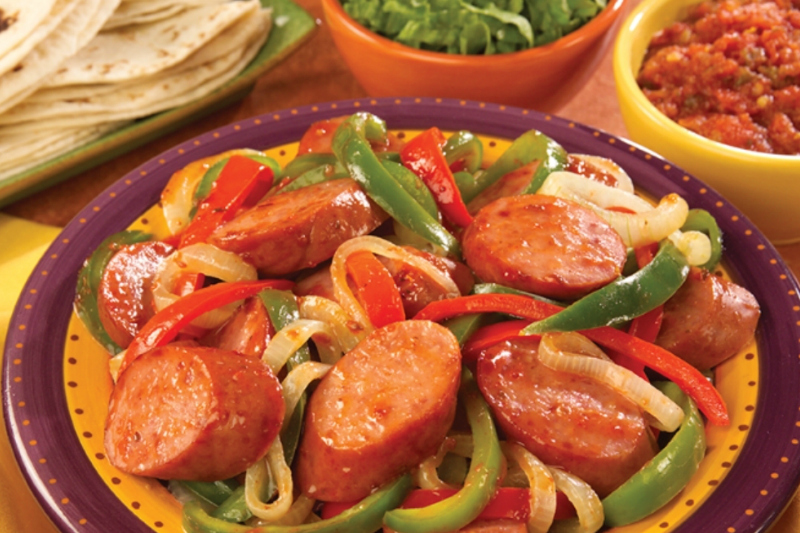 If you loved Mexican inspired food, you’ll love this spicy smoked chorizo sausage meal. Like nearly all the other recipes above, it can be made in one pan and cooks in around 22 minutes. And with both the black beans and rice included, it’s incredibly wholesome and satisfying to the appetite. 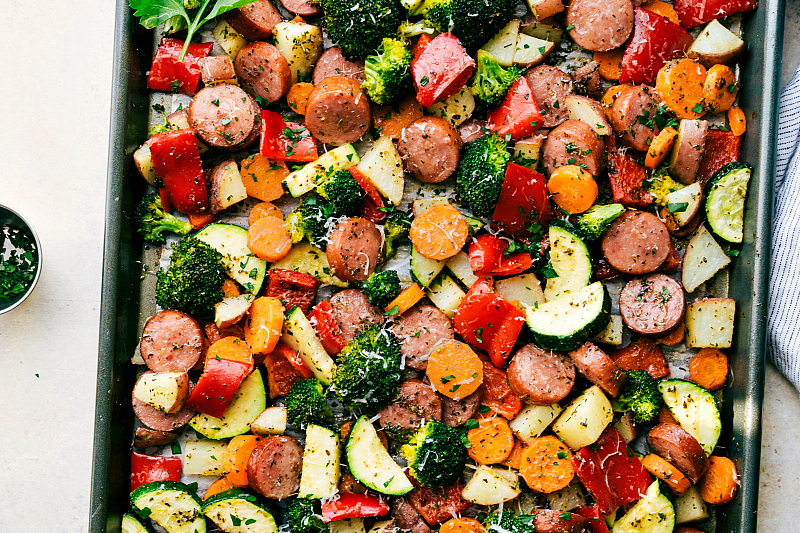 Just one sheet pan, 4 main ingredients, and 25 minutes is all you’ll need to create this dinner you’ll absolutely love. Add the potatoes and beans to the pan, drizzle with olive oil, season with salt and pepper, and bake for 20 minutes. Just enough time to finish chores so you can sit back, relax and enjoy. Just remember to add your chopped smoked sausage to the pan 5 minutes before serving.